They celebrated my husbands birthday. Great trip overall. 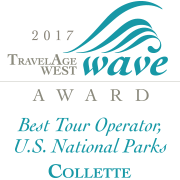 Have been on a number of Collette tours and have always found them to be outstanding and have recommended them to many people. Collette does a great job of finding unique things to see and do in addition to the well known things that made you want to take the trip in the first place. Their tour guides are very helpful, knowledgeable of the area, and make the trip extra special. Our trip to Peru had the best tour guide or manager possible. The local guides were also knowledgeable, friendly and helpful. 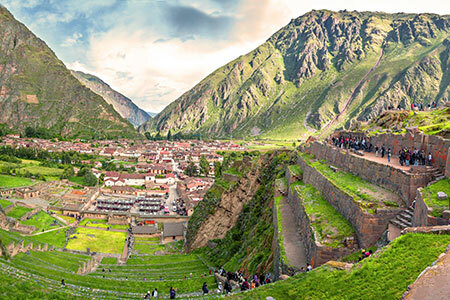 Beautiful country, Machu Picchu, Cusco, Sacred Valley, Ollantaytambo, lunch with a Peruvian family, Sachyhuaman (sp), the meal cooked in a pit in the ground filled with white hot rocks, the tour of Cusco - especially liked the market - and the floating islands. Had planned the trip mostly because of Machu Picchu, and really just thought the other things would be okay, but really enjoyed the Peruvian family lunch, the floating islands, and other things so much. The trip to Peru went beyond my expectations. I’ve been on lots of trips but Giancarlo was the best tour guide ever. He was professional, organized, helpful and made the trip very enjoyable. I was pleased with all accommodations. The tour manager (Eluite Perez) was great! It was a most enjoyable experience! The tour manager, Giancarlo, was on top of every minute of the tour. He has great anticipation, professionalism, great experience, uses his team very effectively so that all have a wonderful experience. 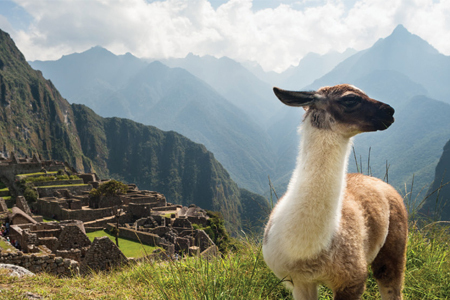 This tour covers the highlights of Peru and with close up experience in all areas. Visits to private homes to experience Peruvian cuisine was most enjoyable. The highlight for me was the sunrise experience at Machu Picchu. Although the entire trip was excellent. All was planned out and executed flawlessly. We had no worries about anything; we just had to be at the hotel lobby at the proper time. Guides were first rate, transportation was first class, places we visited were well selected. Edward Munez Rojas was a wonderful guide, very kind and professional. He was the perfect guide for us. Machu Picchu and Lake Titicaca. Hotels were very good, however the cash Andina Premium Sacred Valley was cold every where. Being the time of year they should have made arrangements to have some kind of heat in the dining room., If the right trip came up we would likely buy from you again. Local Tour guides were very good, sometimes I think provided too much info. I felt that sometimes our tour Manager took it for granted the we would know certain things so we were not informed, Ike when will be the next bathroom break. The group size was super, just the right number of people. Well planned trip and pace was good, which met the needs of the various ages in the group. The tour guides were very good. Pre-trip communication was frustrating and inaccurate, which is the same experience I’ve had in the past. We were not ask about our seat preferences for the intracountry flights. The Sumaq hotel was lovely but having a room that was almost on the railroad track was awful. Needless to say rest was not an option that night. The hotel in the sacred valley had issues with bugs and a leaking bathroom sink, after being reported still was not fixed. Sharing this adventure with my grandson. Thank you for traveling with Collette to Peru. A member of the Guest Relations team will be reaching out to you to discuss your feedback. This is our third tri from Collette. We love them. Great hotels. Organized and great trips. Great hotels. Organized and amazing. Excelle t service with airport pickup and transfers. Knowledgeable local guides. Visit to Lake Titicaca and floating islands was a unique experience. The local people did a terrific job of telling their story. Would not travel with any other company!! Everything was well planned and thought out. The service was excellent and the hotel choices, tour guides, etc. were wonderful. The tour was inclusive of so much of live in Peru. Machu Pichou and Lake TitiKaka were the highlights. Amazing product, awesome tour managers, the best of the best. The entire tour was wonderful from start to finish. Every detail, every visit and stop made sense. Couldn't have asked for more. they had a well-planned tour which showed a lot about most of Peru. It was far more people than expected and that caused an amount of discomfort about timing (delays etc.) and crowding. I feel I missed a few golden opportunities because of the number of people on the tour and thus the inability to think clearly or consult with the main guide about certain choices. But Colette is basically totally on top of their tour. Many of us were disappointed in a number of the rooms offered at the hotels; but the hotels themselves were quite nice. Tour was very thorough, maybe too much? Machu Pichu stood out of course. The brewery and the two lunches with "natives" were surprisingly wonderful. The other ancient sites were also very much worth the tours. Interesting tour. Knowledgeable guides. A few too many jokes about women and shopping. We bought our trip through a vacation broker. Any inquiries directly to Collette were referred to our broker. This was the most marvelous trip for us, life changing actually. 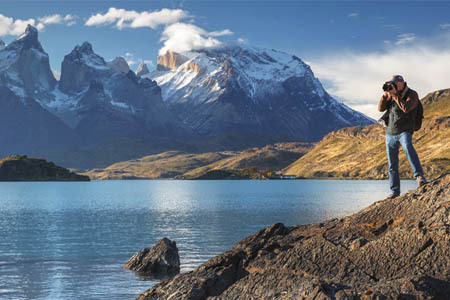 A glimpse of this beautiful country and its wonderful people with our itinerary was one of our best trips ever. We want to go back. The trip to Misminay in the Sacred Valley provided a gift from the people and their lifestyle. What happy people shared their culture and a meal. Machu Picchua was beautiful, bending the imagination of the residents of so long ago. Cusco and Puno were fascinating. Aguascallientes and the train there was steeped in culture. The vacation was a joy, BUT the tour guide was not organized, and not attentive. Our tour guide, Edward, did an excellent job. All of our local guides were very knowledgeable and personable too. Our hotels were very nice and the food was delicious! Machu Picchu was breathtaking! Ollantaytambo and Sacsayhuaman were also exciting to see. I thoroughly enjoyed our interaction with the local people. I would have chosen five stars if not for the fact that the group was too big (35 people) and the age of participants was mainly retired people. It limited the possibilities to see more during visits (especially hiking) due to physical limitations of a number of participants. Group should have split into two based on abilities. Otherwise, the tour was great. This is my 4th trip with Collette. I had a great time. Had an excellent tour director who made the trip more enjoyable. Our hotels were great. Food was ok sometimes it wasn't hot. My favorite was Machu Picchu. 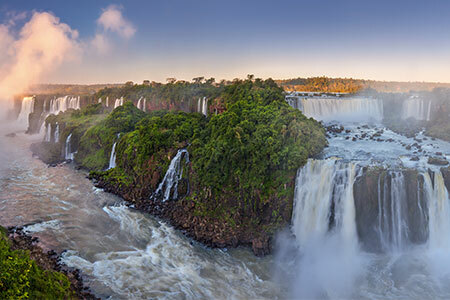 I also enjoyed the Peruvian Amazon optional tour. Although I was told we were not on the Amazon. That was the whole reason I booked the optional tour. Our travel guide, *Personal Details removed by Feefo* was awesome! He was well organized and kept us informed. He has excellent people skills! Machu Picchu was the highlight and why we signed up for this tour. I believe Collette rated it as moderate for level of activity. I think it should have been rated more strenuous as there were a few that slowed the group. I also enjoyed Sacred Valley. Our excursion to the Amazon was "fair." I would not recommend this excursion during the rainy season! Our walk to the lake was thru ankle high mud, took us two hours verses 30 minutes during the dry season, or so we were told by our local guide. The food was delicious and accommodations were nice! We only saw a few birds and otters. So very limited bird and animal sighting! The cost of this excursion was high for what we received! I loved our tour of Peru. *Personal Details Removed by Feefo* An excellent tour manager and the guides in all our locations were very good. The food was interesting , though hotel in Sacred Valley , Casa Andina, was not as good as the other hotels on the tour. Scenery was breath taking , particularly Machu Picchu. 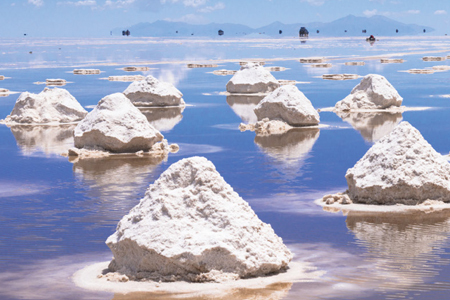 Optional tour to Salt pans was a little disappointing due to the bad weather. It was an awesome experience. Everything went smoothly, the tour guides were excellent, very passionate about their country. The manager was well organized and had everything under control. The trip was very well planned. The locations were Top Notch. The logistics of getting everywhere very well thought out. The accommodations were nice to very nice. The food was good. I was pleased to see wine was included most meals. We will Travel with Colette again. Our tour director was so very helpful. The internal flights on this tour are not included in the land price of your holiday. These flights need to be arranged and purchased separately if you arrange your own air. Internal flights are included with the air portion of your holiday if you purchase air through us. Highest elevation is approximately 12,500 feet (Puno). In order not to miss any tour inclusions on Day 10, departure flights should be booked for very late evening that same day or the early morning hours of Day 11. 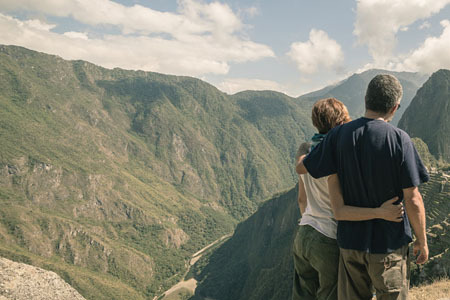 Complete passport information is required 60 days prior to departure to book train tickets to Machu Picchu. If passport information is incomplete or inaccurate within 60 days, there is a strong possibility that we will be unable to confirm you on the same travel schedule as the rest of your group. You will be subject to any additional charges incurred from failing to provide passport information within the designated time frame.